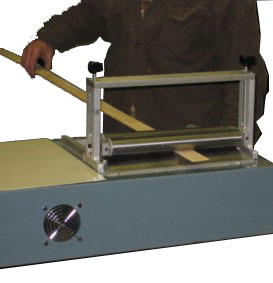 Hot Glue Applicators | DATCO INC. 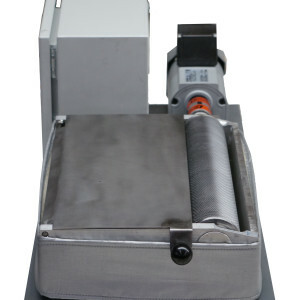 The Datco “Basic” Hot Roll uses the same roll and reservoir as the full-feature Hot Roll. 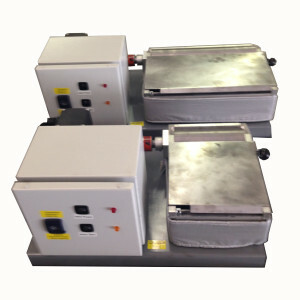 The difference is the drive and temperature control package. 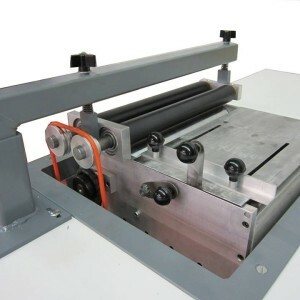 The basic machine is available in 6″ and 12″ roll lengths. 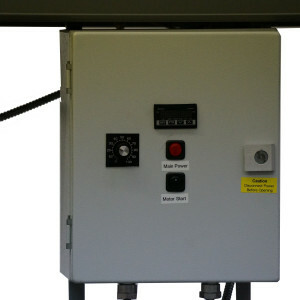 Autonics plug in modular analogue temperature control located inside the panel box. 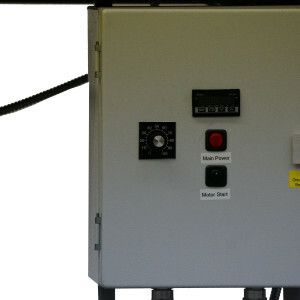 The control panel is simple and straightforward, featuring an illuminated main power switch, a motor start-stop switch, and a knob to set the temperature. 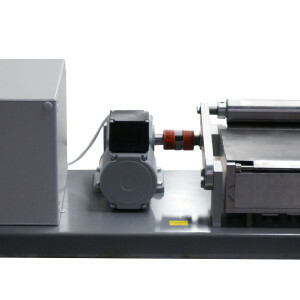 As with all Datco roll coaters, there is an electronic under-temperature circuit to prevent the motor from attempting to run until the unit has achieved setpoint temperature. 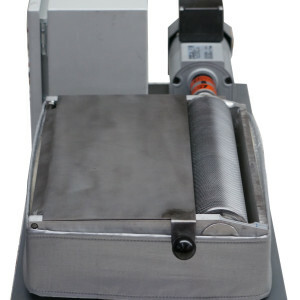 The Basic Roll is easy to use and easy to own. 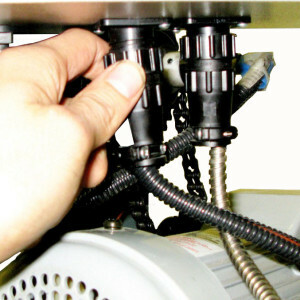 Simply plug it into almost any 120 volt outlet, set the temperature, and turn it on. 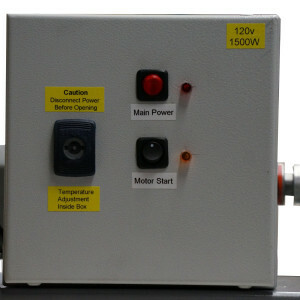 When it’s up to temperature, the motor is enabled, and you are ready to start. 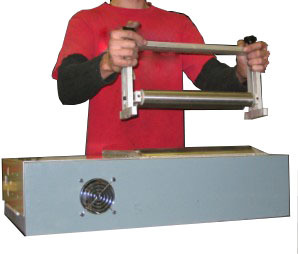 Power supply: All Basic Rolls are 120 V.
Mounted rolls are available in lengths of 6″ – 12″ – 18″ – 24″ – 30″ – 36″ plus special custom lengths upon request. 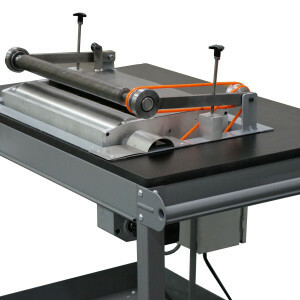 The rolls can be mounted in your choice of a work bench type table or a roll-about service cart. 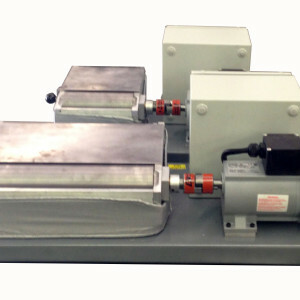 Mounted rolls feature remote control panel box and chain drives with the motor mounted beneath the unit. 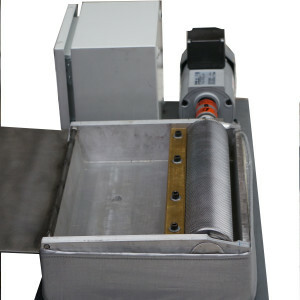 While the mounted rolls are self-contained, they may be fed molten adhesive from an adhesive supply unit in high production applications. 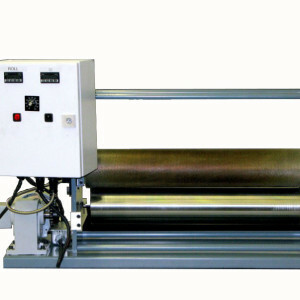 The Datco Big Roll series roll applicators are available in 6″ – 12″ – 18″ long models. 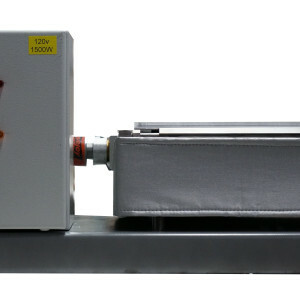 If mounted in other ways the Big Roll can come in sizes up to 50” long. 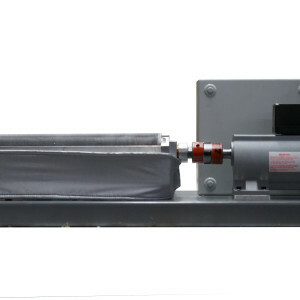 – 4 1/2″ diameter rolls increases the reservoir size. 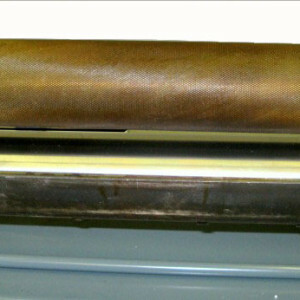 Big Rolls hold 1lb of glue per inch of roll length. 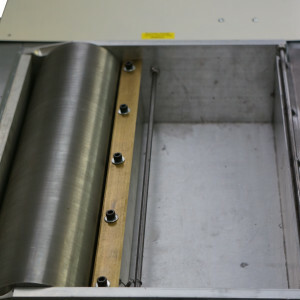 In the tabletop models, drive and electronics are located in easy access hinge open panel and this unit features fan forced cooling for motor and electronics. 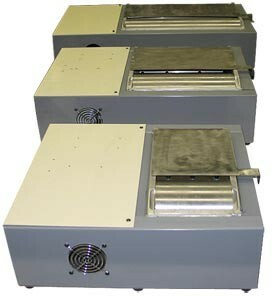 DATCO’s new Versa-Roll series offers a more versatile design for all of the glue you use. 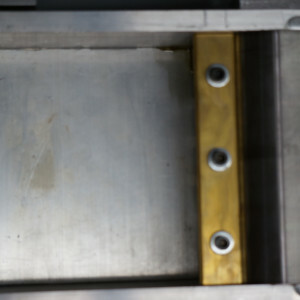 The well thought out design offers a new, more cost effective alternative to other complex and bulky coating systems. 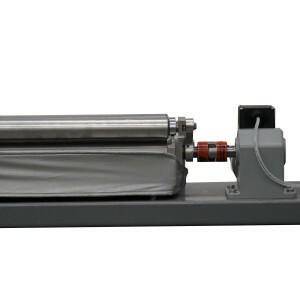 As a result the Versa-Roll is less likely to have costly downtime and will keep your projects rolling. 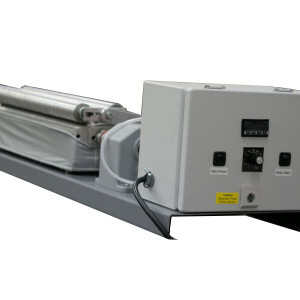 With sizes from 6 to 50 inches, we have the perfect machine for your gluing needs. 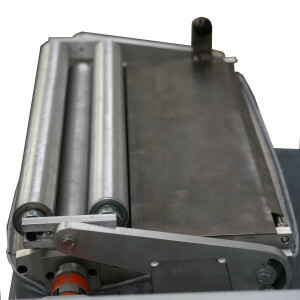 – Adjustable Hold-Down Roll: The Versa Roll’s hold down roll is easily adjusted to accommodate a large variety of substrates. 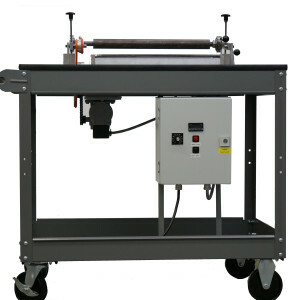 The hold down roll can also be moved to the top or bottom of the application roll allowing the uses to coat on either side.- Heated Roll: The versa roll uses an electronically heated roll. 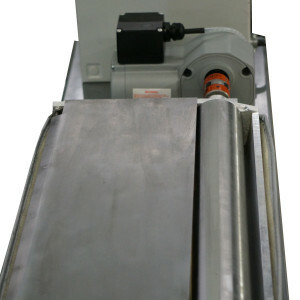 DATCO uses a special heating compound that never has to be replaced or disposed of to evenly distribute heat along the surface of the roll.- Reser-Blade: DATCO’s Reser-Blade technology combines a heated glue reservoir with a doctor blade. 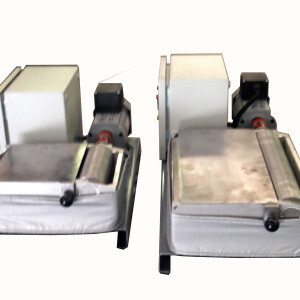 This technology eliminates the need for a cumbersome doctor roll. 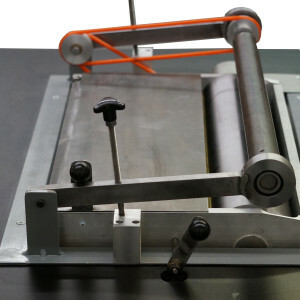 To adjust the deposition of adhesive on the roll, you simply adjust two screws. 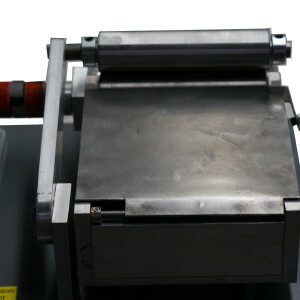 – Easy Cleanup: The versa roll is designed for simple cleanup. 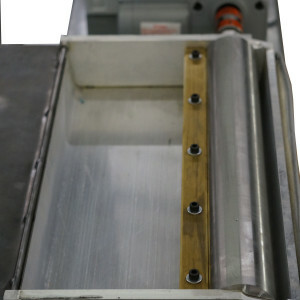 The Reser- Blade can be removed by simply detaching it from the control panel and removing four screws. 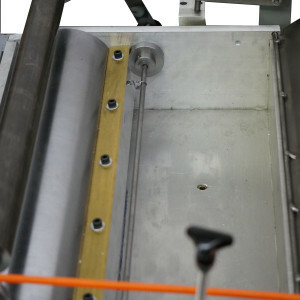 Likewise, the hold-down roll comes out by removing an additional four screws. 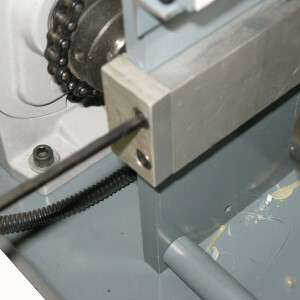 At this point the operator has full access to all parts that have come in contact with the adhesive. 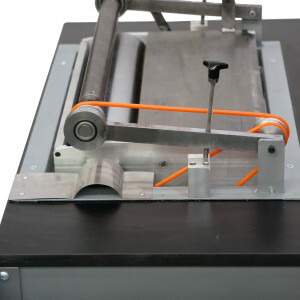 This feature makes the versa roll ideal for users that wish to run multiple types of adhesive.